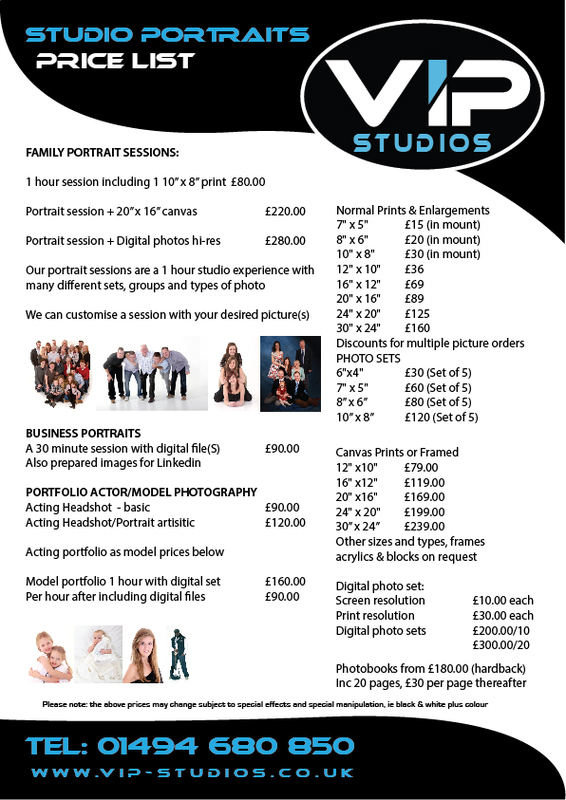 VIP Studios are portrait photographers based in our Beaconsfield studio, Buckingamshire, & cover High Wycombe, Amersham and Gerrards Cross, London , Bucks & offer studio and location photography. We offer portraits, weddings and event photography with a studio sitting when needed and cover outside events and corporate or commercial photographic assignements. VIP Studios are full-time photographers, with Paul Mason & associates we make sure every sitting is fun informal & most of all a great set of pictures.